A Blue solvent resistant block-out and retouching filler. 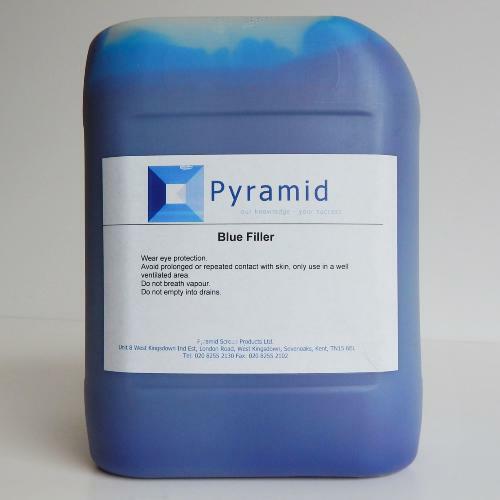 Pyramid Blue filler is a universal, solvent resistant mesh filler for those pinholes or open ares of mesh that need filling. With it's smooth consistency, this makes it easy to apply across all mesh counts.